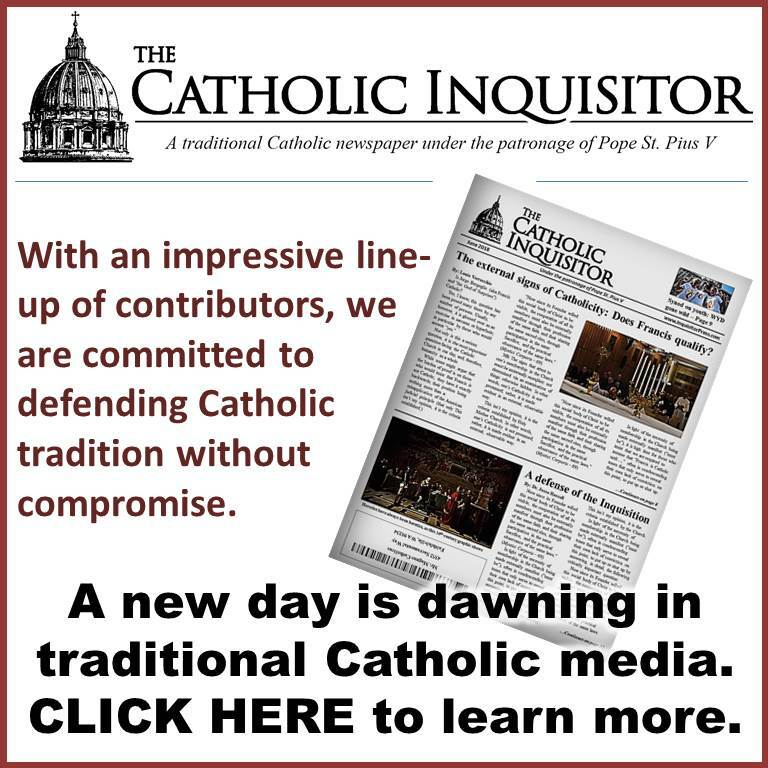 Are you one of the millions of Catholics in the United States whose diocese is scrambling for priests to offer Holy Mass? Do you live in an area where the nearest Catholic seminary is functioning at just a fraction of its capacity? Are you one of the tens of thousands of Catholics whose parish recently closed? It is also the case that what the United States is experiencing right now is not an entirely new reality—just one many have forgotten in the pages of history. As shown in the figure below * the ratio of diocesan priests active in their diocese to parishes in the United States of 1950 was very similar to what it was in 2012. Get that? Happy Days are here again, bucko. Your diocese isn’t really crumbling; your bishop is simply retooling it for the New Evangelization! Capisce? What’s that? You’re not buying it? Yea, well, join the crowd. Neither am I. – In 1950, there was an average of roughly 1 active diocesan priest per parish in the United States. – In 2012, there was an average of just under 1 active diocesan priest per parish in the United States. Case closed! Right? Well, maybe not. There are some key statistics that Dr. Gray and like-minded spinmeisters of the New Evangelization conveniently overlook. 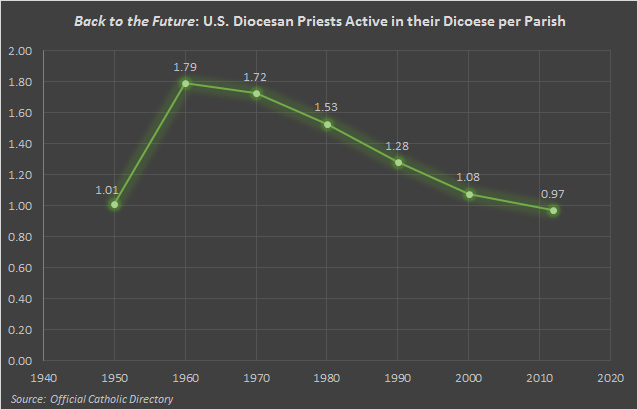 The graph above speaks only of “diocesan priests.” Since 1965, the number of religious order priests in the United States (as reported elsewhere by CARA) has plummeted by nearly 50% – from 22,707 to just 12,303 in 2012. 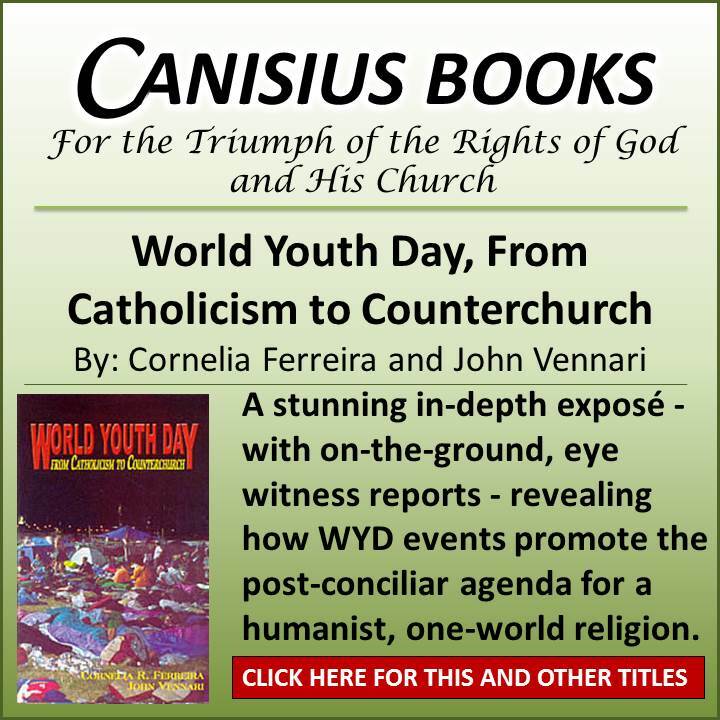 In that same period, the number of diocesan priests also dropped precipitously, from 35,925 to just 26,661, and all of this at a time when the self-identified Catholic population has grown from 48.5 million to 78.2 million. All of that said, one of the most glaring oversights in this posting has to do with the fact that “priests per parish” is an utterly meaningless statistic apart from factoring in the number of parishes. More than 1,500 parishes in the United States have closed since the year 2000. More than fifteen hundred! Now, if only the wizards of the New Springtime would just close… I mean, consolidate another couple of thousand parishes out of existence, we’d be able to brag about how we’ve exceeded even the most glorious of Catholic ages in priests per parish. Just imagine the extent of our joy! 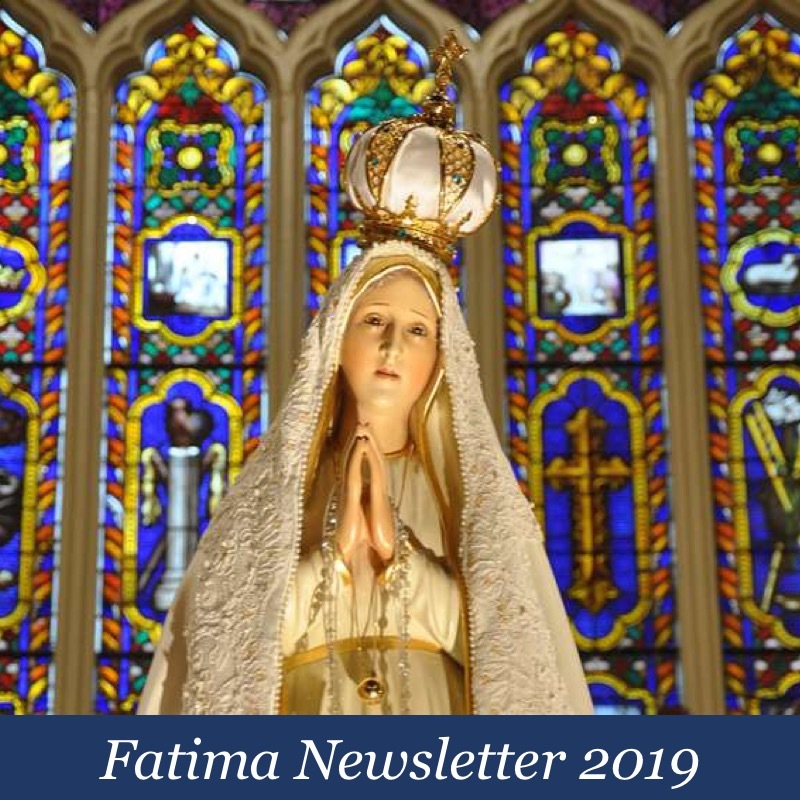 Here’s the bottom line: Over the last four decades or so, the visible structures of the Catholic Church, and the intangible things upon which they are built, have been steadily deteriorating right before our very eyes. The captains of the New Evangelization can dismiss those of us who lament the loss of liturgical piety, papal sovereignty and Christ-the-King-Centeredness in the Church as little more navel gazing triumphalists all they want, but manipulating data and spinning analgesic tales designed to pacify the malnourished masses is only going to accelerate the devastation. Are you saying that these pollsters, like Arthur Fonzarelli, have “jumped the shark”? By the way, if all of us laity are supposed to be evangilizing so much (which we should), why do so many get so bent out of shape when guys like you and Michael Voris do just that? I personally think the Church is slowly condensing, preparing for something bigger. 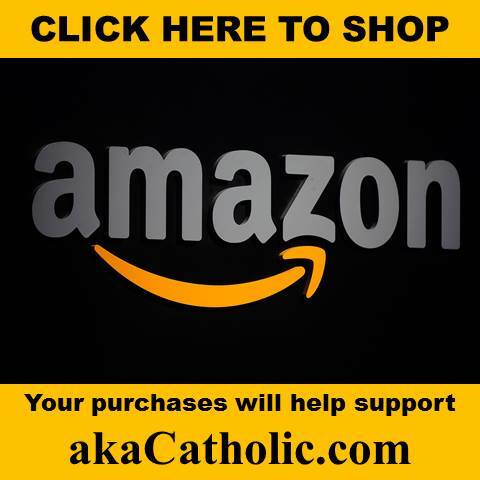 Great time to be Catholic! Well, the Josephinum is at its capacity, as are many others I read about. Still not enough seminarians in the pipeline to replace the priests soon to retire or expire. I fret about the workload my seminarian son, once he is ordained, will have to shoulder in a few years. 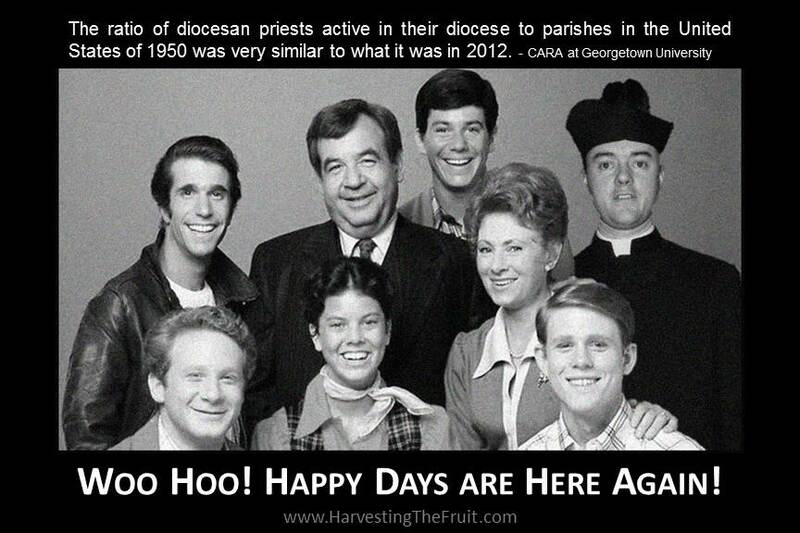 But it sure is looking better for priestly vocations than it did a decade ago. I’m counting our blessings and praying for more vocations. FJH3 – Yeah, there does seem to be a few more vocations and sure many are running full as well. Here is the problem. Just like the numbers above don’t count how many parishes there were back then, there are far fewer seminaries today. So while the Josephinum is full and others might be, that is because there are less than 50% of the seminaries open. There are less parishes, less schools, and less seminaries. James David- Wake up look around, take the sleepers out of your eyes and read the chart again,diocesan priest ‘decline’. There is a crisis in the Church, chaos and confusion in the pews, and all is spin, spin,spin, of how wonderful all is.